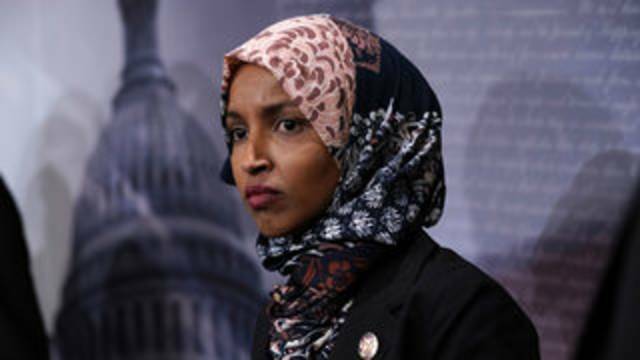 Ohjieshan opinions: Ilhan omar hijab needs to check up on her religion and its history? Ilhan omar hijab needs to check up on her religion and its history? at least several times just since WW-2! Until now when only money talks and 'Right walks'! hate all for the decedents from Isaac. Read up on their history so you can find out how and why? 'you will love the author' as do I! so you will want to read them also. I was an Independent once in my life, forced into it by the democrat and republican party in that town! I was a democrat in name only in order to be able to get any news as to what was on going in the political arena! although I did vote for Eisenhower and McCain once. Palestinians have bombed, sends missile into, and shot Jews, every time the world would get Israel to back off a little! CNN'S ASHLEY KILLOUGH CONTRIBUTED TO THIS REPORT. Tlaib is endorsed by the Democratic Socialists of America, a burgeoning left-wing group that also counts New York Democratic congressional nominee Alexandria Ocasio-Cortez among its members. Omar, in addition to being one of the first Muslim women in Congress, will also be the first Somali-American member. She came to the US more than two decades ago as a refugee. Tlaib actually campaigned with Omar ahead of the latter's primary race earlier this year. Omar also had the backing of Ocasio-Cortez in her primary race, and she will come to Congress having been an open critic of the Israeli government's treatment of Palestinians. Omar will take the seat vacated by Minnesota Rep. Keith Ellison, the first Muslim elected to Congress. Ellison is leaving Congress as he vies to become Minnesota attorney general.